So basically the current Legends canon? I have now seen this movie and I really liked it. I believe that this film is superior to The Force Awakens. I'll divide this film up into things I liked, and things I was unsure of, because there was nothing I blatantly disliked. - The extended run time was definitely appreciated. It really contributed to the overall scale of the film and was very satisfying. - Benecio Del Toro's character DJ was excellent. - I was pleased with the death of Snoke. I fully expected him to stay around until Episode IX. This made the story feel different from the original trilogy and was a great way to develop Kylo's character. It would be nice to get some sort of explanation as to how Snoke came to power. - Yoda's force ghost sequence was great. - The sacrifices were meaningful. - Hux felt slightly more developed than what we saw in TFA. - I appreciated the force connection between Kylo and Rey. Their character interaction was very interesting, and I am very curious to see how it is resolved in Episode IX. Having it be engineered by Snoke felt like too much of a callback to Palpatine, however. - The plot at Canto Bight was necessary but overall a little strange. - Phasma was more underused than I expected. I am not convinced that her appearance in this film had a purpose. - Having Rey's parents be inconsequential makes sense to the story but I expected some sort of connection (which we may still get). At this point I'm not sure which I would prefer. Rogue one is a prequel to A New Hope. It takes place 4 movies and many decades before The Last Jedi. They aren’t directly part of the same story. I never would have guessed in a million years that they'd imply that Leia was a lesbian. It makes sense for Holdo, but Leia, really? The overabundance of female extras in the Resistance felt calculated and there for diversity's sake. And of course the child slaves and horse creatures overthrowing the big bad weapons dealers felt like a typical Disney trope. Even if you weren't, though, Rogue One has no relation to this story...it took place over 30 years prior to it, and concerned an entirely different issue. Also, @Likus, where did you get the impression that Leia is an implied lesbian? I know Holdo was confirmed to be one, but I saw nothing in this movie between them but a long-standing friendship. I have heard others theorize this, but there was no actual implication, as far as I'm aware. Additionally, the child slaves bit could just as easily be a reference to Charles Dickens as it is a Disney trope. That wasn’t implied at all. They were simply friends who had been through a lot. Leia loved Han. And yes, I understand this. I just felt the need to point out that this isn't new to Star Wars at all. Lots of post-ROTJ content has always been really bad. I mean I liked TFA but this seems like such a downgrade from everything set up there. For example luke went to find the first jedi temple, then tells rey he went there to die. I dont know how JJ will go with this, and the last jedi concerns me for how the next trilogy this guy wants to make. Dude, spoiler tags. Chrs for that!! Not really anything crazy like character deaths are in there, and the second paragraph is just me memeing about. Its a dumb inconsistency in two lines, the movie is really long so don't dwell on it. in reference to your point about Luke, it was what Yoda said to him that changed his mind about Rey, and trust me, seeing your old teacher, literally explode what you believed to be the epitome of your belief system, can be pretty eye opening. That's what everyone thought. It's never stated that this is fact, and turns out is only partially true. Episode VIII does in no way contradict this. Ok, I don't know if you're trolling for the heck of it, or are very confused. The Resistance base was on D'Qar, while Yavin IV was evacuated roughly 35 years prior during another war entirely. 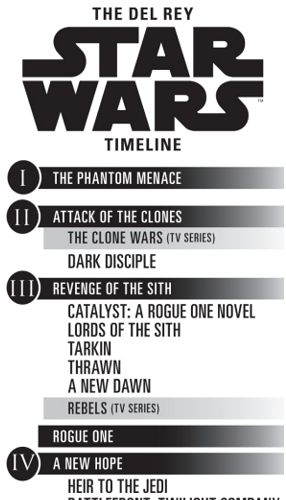 If you're not trolling, I'd advise taking a look at this timeline that's found in the Del Rey novels. Might help. luke went to find the first jedi temple, then tells rey he went there to die. I feel obligated to point out that in TFA, Han said that those who KNEW Luke BELIEVED that he was in search of the first Jedi Temple. Just because someone says, "I'm going to find the first Jedi Temple" does not mean that this was the only reason he went. Plus, we never saw Luke tell anyone that...it was a rumor that circulated among the Resistance. Aldo, as @prentice1215 points out, I think you may have been confused by the order in which the movies were released (which is not impossible, as they are strangely spaced out). Rogue One does not occur between Force Awakens and Last Jedi. It occurs before both of them, as well as before Episodes 4-6. Just saw it, and this was probably the craziest movie I have ever watched. I love how in this movie Luke wasn’t strong in how many cgi flips he could do, but it was in his resolve and the choices he made. I also want to point this out. I don’t think this is a problem here, but people should realize that when a critic gives a film that they personally didn’t like a positive review or vise versa, that doesn’t mean at all that they’re being payed off by Disney. Also to the people who want to start boycotting Disney: good luck in a few years when they own literally everything. but people should realize that when a critic gives a film that they personally didn’t like a positive review or vise versa, that doesn’t mean at all that they’re being payed off by Disney. Agreed. Unfortunately though, the online community for Star Wars is filled too many neck bearded losers that will complain about everything.